Plants need sun and water to grow, right? Yes, of course. But in addition to non-mineral nutrients from the sun and water, plants also need a buffet of essential mineral nutrients in order to thrive. 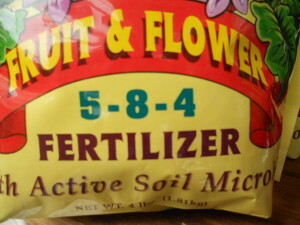 Mineral nutrients are found in the soil, and can be added via numerous amendments and fertilizers. Nitrogen (N) makes for healthy green growth & rapid vegetative growth. Not enough N: poor stem and leaf growth (teeny tiny plants), yellowing leaves, general failure to thrive. Phosphorus (P) promotes root growth, promotes flowering & fruit set, and disease resistance. Moves slowly. Potassium (K) promotes overall vigor, fruit ripening, and disease resistance. N, P and K are considered macronutrients, or nutrients that all plans needs in fairly large quantities (relative to their size) for healthy growth. Other macronutrients are calcium, magnesium, and sulfur. Magnesium (Mg) promotes Green leaves, vegetative growth, and sugar formation. 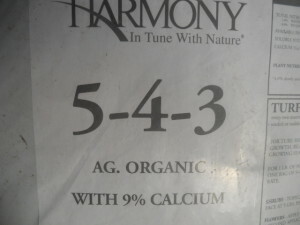 It is particularly important in the cultivation of certain crops, as it aids in the plant’s uptake of calcium. Limited calcium and magnesium stores in tomatoes, for example, can lead to a disease called Blossom End Rot. Calcium (Ca) promotes Plant structure and strength, new cells, growth, and disease resistance. Sulfur (S) promotes fruit & seed maturity and green leaves. Other essential nutrients for healthy plant growth are categorized as micronutrients, or elements that plants need in smaller quantities, relatively. Micronutrients include boron, chloride, copper, iron, manganese, molybdenum and zinc. These nutrients promote general growth, leaf color, and starch formation. Natural sources include greensand, kelp/seaweed, and vermicompost. You’ll seldom find yourself worrying about the tactical addition of micronutrients in your soil, unless you identify specific problems or are working with crops that require special doses. If you encounter plant stress, discoloration, or failure to thrive, always consider that you could be dealing with nutrient excess or deficiency, before jumping to your shelf for that book on plant diseases. Learn the telltale signs of plant nutrient woes, and your response to plant stress can be ever more accurate. Also, performing soil tests can take the guesswork out of determining what might be ailing your garden. Check out our Ask Ruth article on soil testing to learn how. 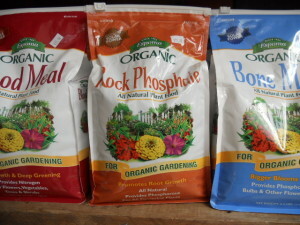 See our post on Feeding your Garden to learn about adding nutrients organically.